The Pacific West Coast Regional Summit on Africa took place in San Francisco on June 4th and 5th, 1999. This summit was the third of five regional summits held as part of the National Summit on Africa, an unprecedented nationwide effort to create a shared policy agenda towards Africa. The Pacific West Coast region consisted of Alaska, Arizona, California, Hawaii, Idaho, Nevada, Oregon, Utah, and Washington. 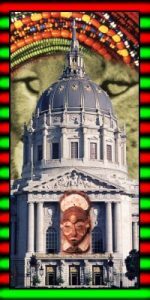 Be sure to visit www.CAfrica.com, the web site of the California delegates ofthe Summit on Africa. Professor A. M. Y. Yansané sent in some comments on the Regional Summit’s Policy Plan of Action. If you’d like to respond to Dr. Yansane’s comments (or add comments of your own), please try our discussion forum. The summit’s format consisted of deliberative working sessions, each focussed on one of five major themes: Economic Development/Trade, Democracy and Human Rights, Quality of Life/Environment, Peace and Security, and Education and Culture. Also featured were distinguished speakers from both the United States and Africa, including His Excellency Alassane D. Ouattara, former Primer Minister of Cote d’Ivoire and the Honorable Nandi Mayathula-Khoza, Mayor of Soweto, South Africa. The opening plenary session for the summit began at 8:30 AM on Friday, June 4, with opening remarks from Mayor Willie L. Brown, Jr. The first deliberative session began at 10:45 AM. Please see the summit schedule for more information. In addition to the summit conference, there was a series of Parallel Programs that took place before, during and after the summit. These programs included panel discussions, art and science exhibits, and an African Film Festival. Please see the parallel program schedule for more information.